My name is Megan and I have been a runner for about 20 years. I do it because it keeps me healthy and sane and serves as an outlet for life’s frustrations. I also love the journey. Exploring a new city via trails and sidewalks one can find all variations of ways to live life and come upon countless beautiful landscapes. I am forever looking forward to whatever silent, secluded neighborhood or waterfall is just ahead. The Way – Since I am a journeyer I find myself on trails, urban and forested, and trails often quit without warning. Thus I have come upon a need: I am setting out to track the trails I know and document how to stay on these trails. I’ll also document interesting new kinds of runs or events that I do, interesting data that I come across, and things I have learned about running over the years. Not as a professional, just as an experienced runner. As time goes on, I will look to you to help document new trails and lost way-points, for I cannot trek all the world. History - My running started at 15 with my father, Don, who was a slow-and-long breed of runner, whom I take after. I topped out at 6 miles for the first decade of running because I had other priorities like partying and partying. In 2007, one of my greatest friends and inspirations, Katie, invited me to run a half marathon with her. I trained HARD because I was scared, and afterward I felt that amazing sense of achievement and like my brain might collapse. “What did I just do?” Since then I have been running various longer distances and have done an approachable number of half and full marathons. It’s like 7; its somewhere around 7. It’s not 50. Breakdown - In 2015, I was living in Cincinnati when I went through a divorce, living alone in a city far from home trying to downsize, sell my house, deal with lawyers and hold it together at work. I was stressed, seeing two therapists, drinking too much, on medication, and at the edge of an emotional breakdown. Transformation - After the dust settled, I called up a local friend and runner, Scotty, and we signed up for our first ever ultra-marathon. I needed a challenge to pull me out of the mental hole. 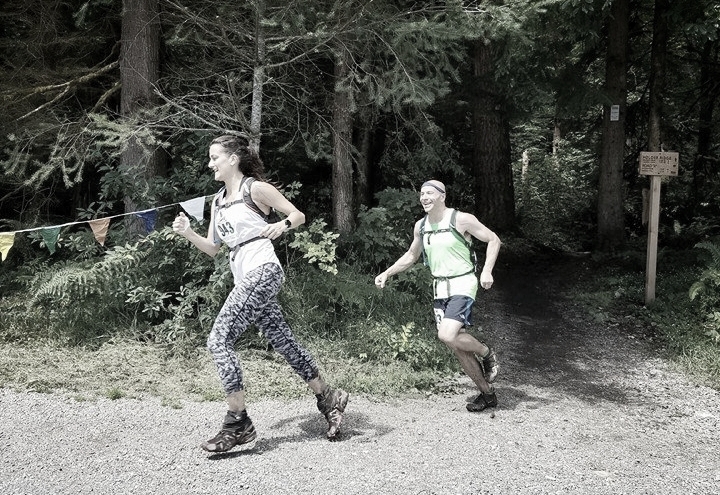 We picked a 50k race in Washington, out in the Issaquah Alps, because it was completely on trails and near my family. I bought my first pair of trail running shoes and set out into the parks of Cincinnati to train. I found myself running at night through the forest, through mountaintop thunderstorms, through snow and ice and wind and rain. It got dark and cold and lonely and dangerous and I never felt more alive. It was a mental challenge rather than physical and I kept feeling “If I can do this and be OK, what else can I do?” It was therapeutic and in late June of 2016 we flew to Seattle and ran our 31 miles and then ate everything in sight. Philosophy – My home is now Seattle once again, where I grew up. Now, I run for the peace, the adventure and the journey and not to compete, improve or qualify. While those can be fun sometimes, this is about inner calm, not speed. Searching out new experiences and new places. I'm looking for a way of running that is sustainable for a lifetime and that gets me out into the nearby wilds.